Slate Digital’s Virtual Microphone System is finally here! This new concept by Slate Digital is building a lot of interest. 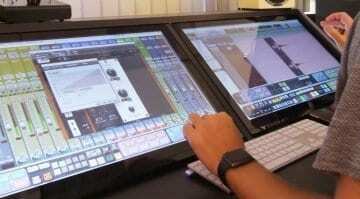 The new Virtual Microphone System (VMS) offers virtual microphone auditioning of some very expensive and rare mics. Promised to deliver very accurate simulations, is this the “future of microphones”? As vintage mics continue to age and become increasingly rare with even fewer spare parts, prices of these legendary pieces of gear are soaring. 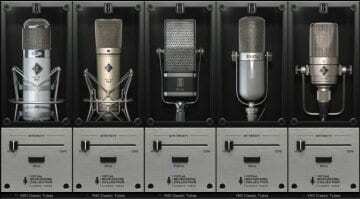 Affording just one of these dream mics will remain a dream for many. Slate have developed what they believe to be the solution to this problem, with additional benefits of being in the digital domain. The system comprises of three main parts. In order to re-create the various microphone and pre-amp emulations, you need the initial capture to be as clean as possible and un-cloured. 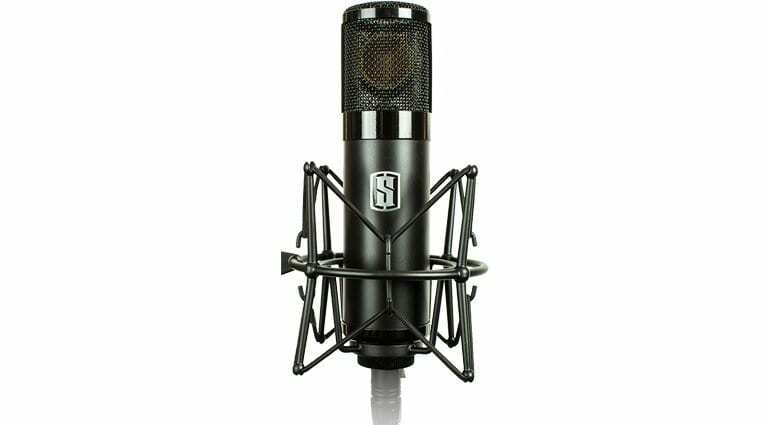 To do this, Slate have designed the ML-1, a large diaphragm condenser microphone which is meant to be extremely flat and neutral. 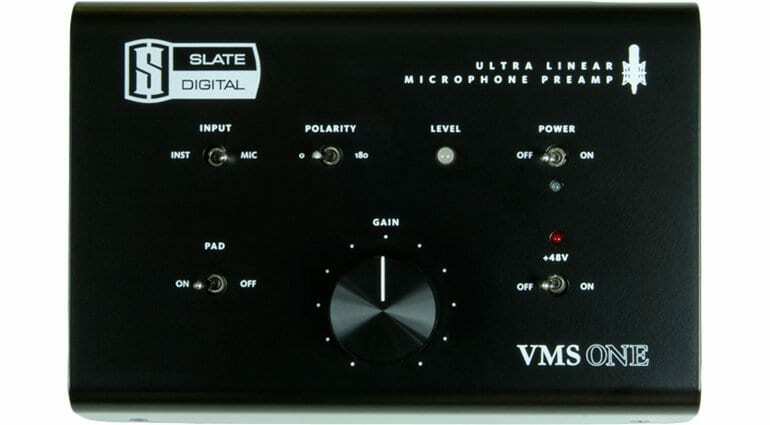 This is then paired with their own VMS-ONE mic pre-amp, which again is aimed at being clean and linear. 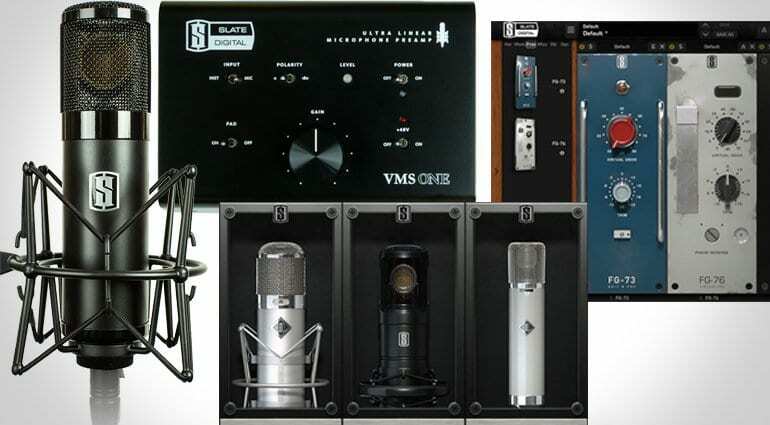 Combining what they know about the response of the ML-1 mic and VMS-ONE pre, they can then apply their modelling of some famous and sort after microphones and pre-amps. 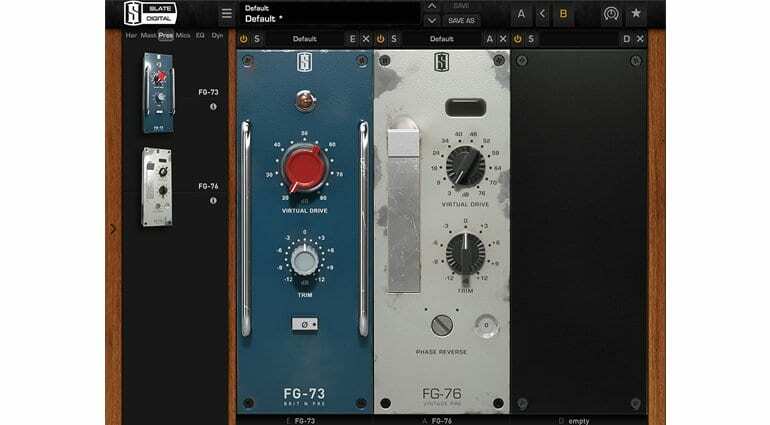 You apply these emulations via their software which runs as a plugin in any DAW. What I really like about this system is the ability to track with these emulations in place and either commit to them there, or have the opportunity to audition others at a later stage in the production process. I really like this new concept by Slate Digital and secretly hope it is as good as they’re suggesting it to be. There are plenty of pre-amp emulations available today, but I don’t know of any other mic emulations that do quite what this does. The price of this system compared to the real thing simply can’t be ignored as a sales argument. I’m sure this is going to be a very popular product that is ideal for today’s market. I really look forward to trying one of these systems soon. 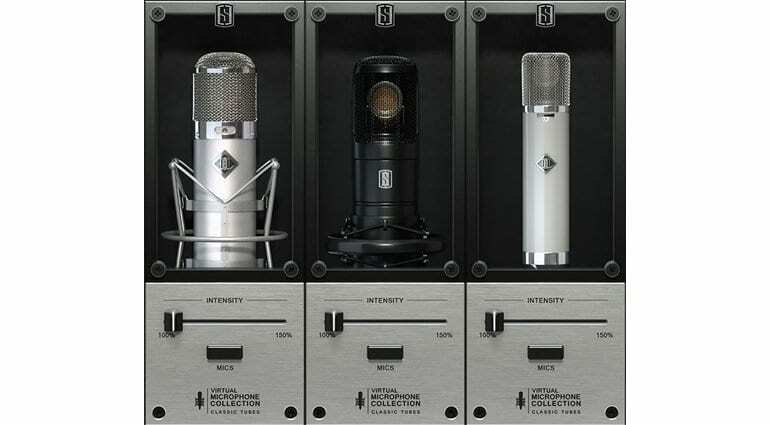 There are some unanswered questions, however, such as: how can they emulate the polar pattern shape for each mic? 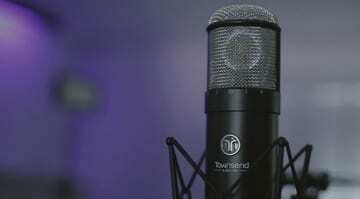 Cardioid on one mic can be wider or narrower than another. One of the reasons a U47 is ideal for a drum room sound is that it’s a particularly wide cardioid. Another question is how they can simulate the behaviour of each mic in the context of the proximity effect. Surely, they can’t and these factors will be whatever the characteristics of the ML-1 are. These are, of course, small details. Early opinions are describing these simulations as accurate and of particularly good examples of the microphones, which can obviously vary so much. Visit the VMS product page on Slate’s website for more information. Availability in the UK has just begun with some distributors taking pre orders, and delivery only in a matter of weeks. Prices look to be around 1,000 GBP. There’s a rumour which can be seen here on the Audio Fanzine website. Anyone who buys the VMS before 31st August 2016 will receive the ‘Classic Tube 2’ modular expansion pack, with more classic mic emulations for free. I haven’t found an official announcement on Slate’s website yet, but it makes sense as one of the promises with the system is to have a wide selection of mics. NAMM 2017: Is the Slate VRS8 a breakthrough or hot air?